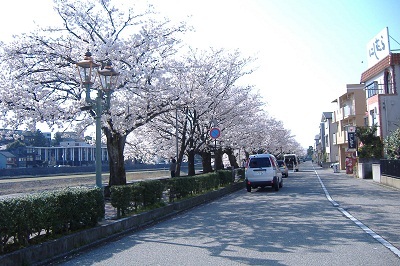 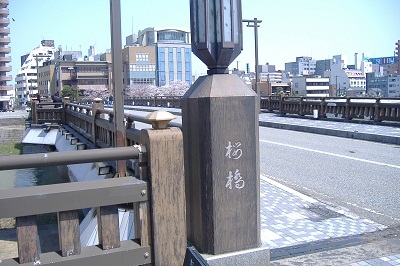 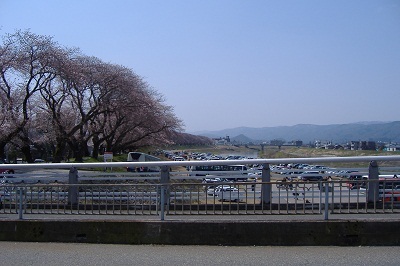 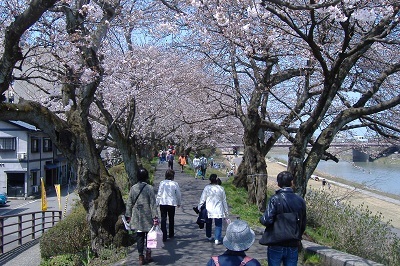 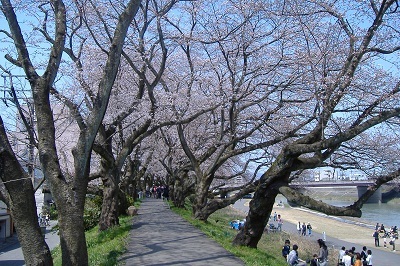 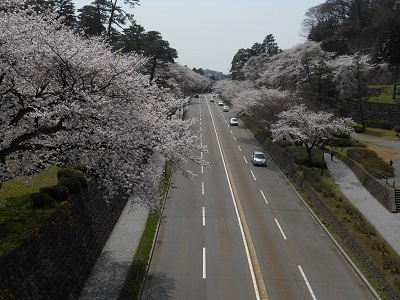 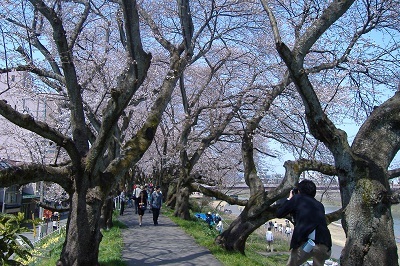 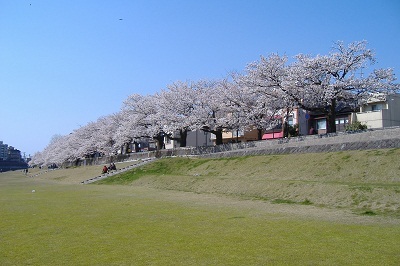 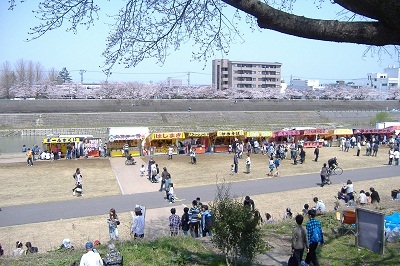 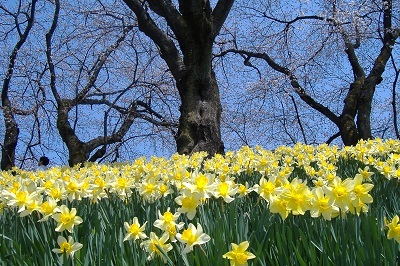 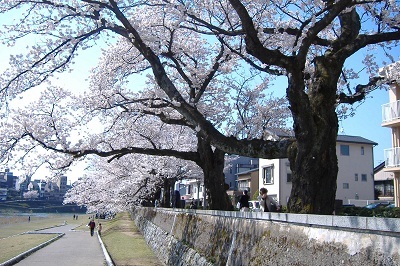 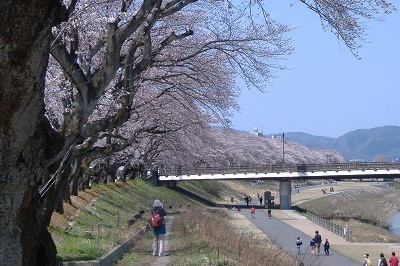 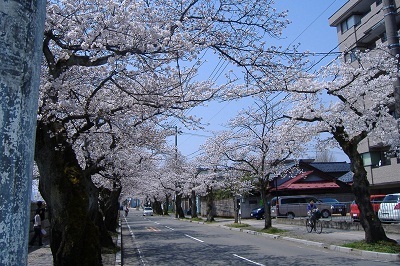 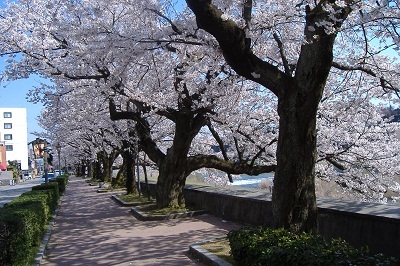 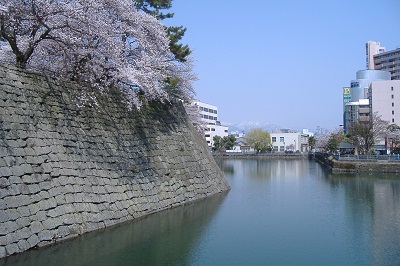 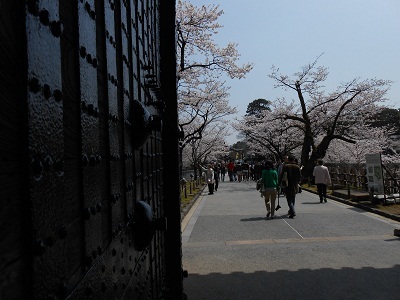 Cherry flowers are almost in full bloom in Kanazawa on Thursday, April 4th, 2013. 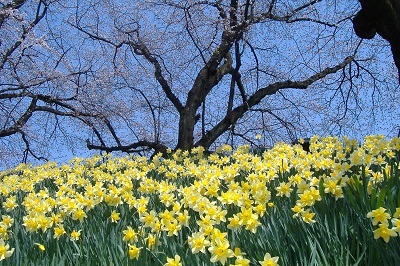 It is one week earlier than uasual. 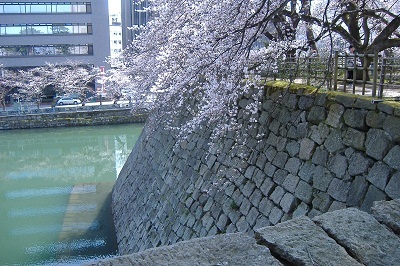 Here is Ex-castle moat. 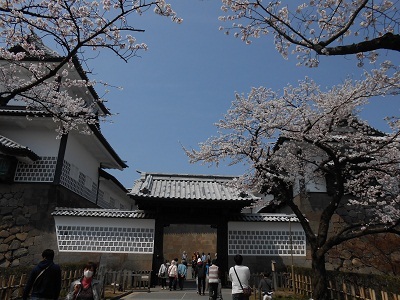 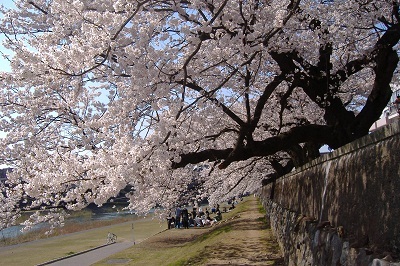 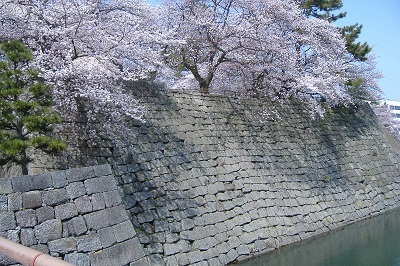 Cherry flowers beautifully decorate the castle gate. 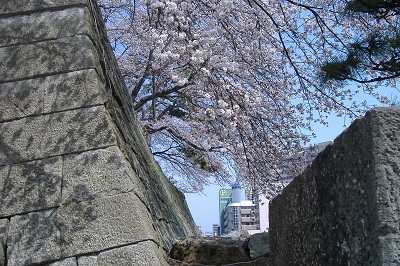 The nail hides of the castle gate make an interesting contrast with cherry flowers.